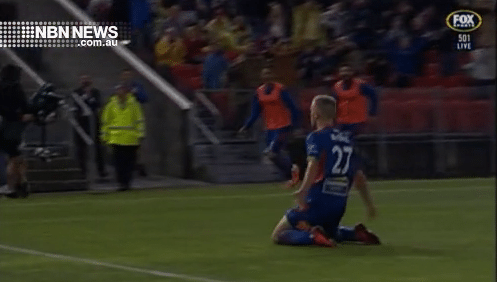 Scorpion-kick king Riley McGree will return to the A-League next season, but it won’t be with the Newcastle Jets. The 19-year-old has instead signed a loan deal with the club he scored his incredible goal against – Melbourne City. McGree, who’s still contracted to Belgian heavyweights Club Brugge, says he’s heading south for the professionalism of City and its high-quality facilities. Newcastle did table an offer, but it’s understood it couldn’t match a club regarded as the richest in the league.